Tricuspid valve abnormalities are relatively rare lesions in the spectrum of congenital heart disease which can affect the leaflets, chordal apparatus, and/or papillary muscles of the tricuspid valve. Ebstein anomaly is the most common form of congenital tricuspid valve disease. Although outcomes remain poor in neonates with important tricuspid valve disease, Ebstein anomaly can be managed successfully in children, adolescents, and young adults with recent surgical advances and current interventional techniques. Comprehensive cardiac imaging is essential to allow for accurate diagnosis and appropriate decision-making, and should always be performed by an advanced cardiac imaging specialist with expertise in congenital heart disease. 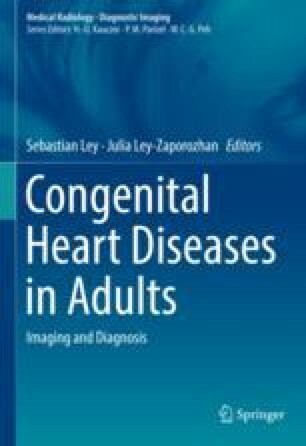 In this chapter, anatomical features pertaining to the range of congenital heart defects which affect the tricuspid valve are reviewed, current imaging techniques are detailed, and contemporary approaches to management are discussed.